Sunday was such a relaxed day for us. We really just felt like we were part of the city by that point and could move around more leisurely. 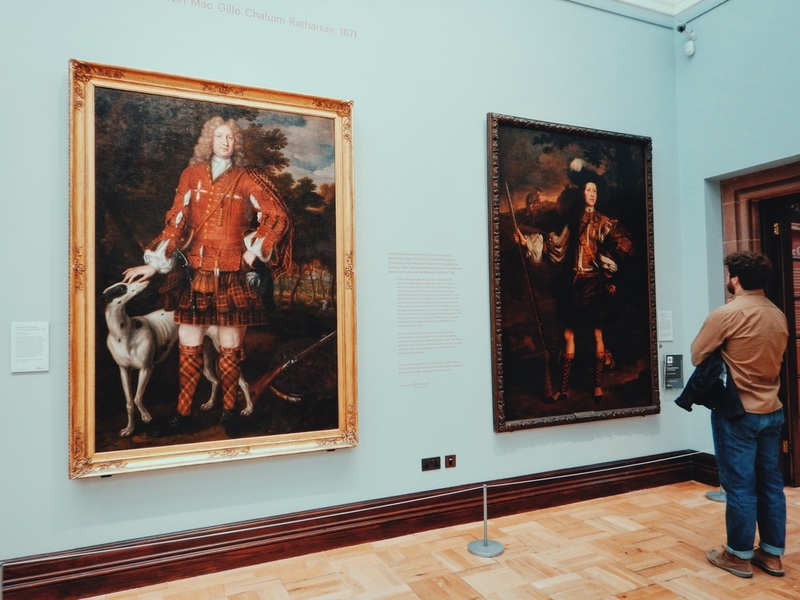 We walked a few blocks down the street from our flat to the Scottish National Portrait Gallery. 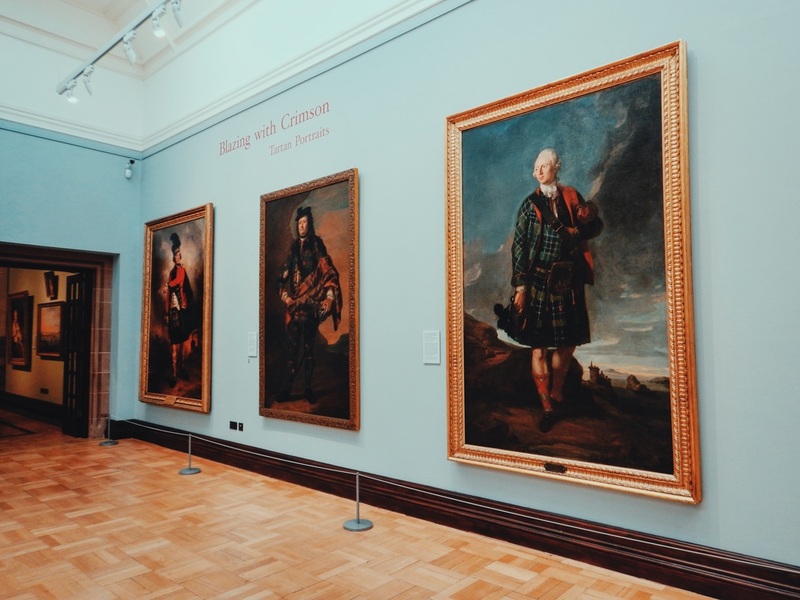 I know it seems like all we did in Scotland was look at art but a. it's sort of true and b. all the museums are free so how could you not! Does every building in Edinburgh need to be ridiculously beautiful? No, but it sure doesn't hurt. 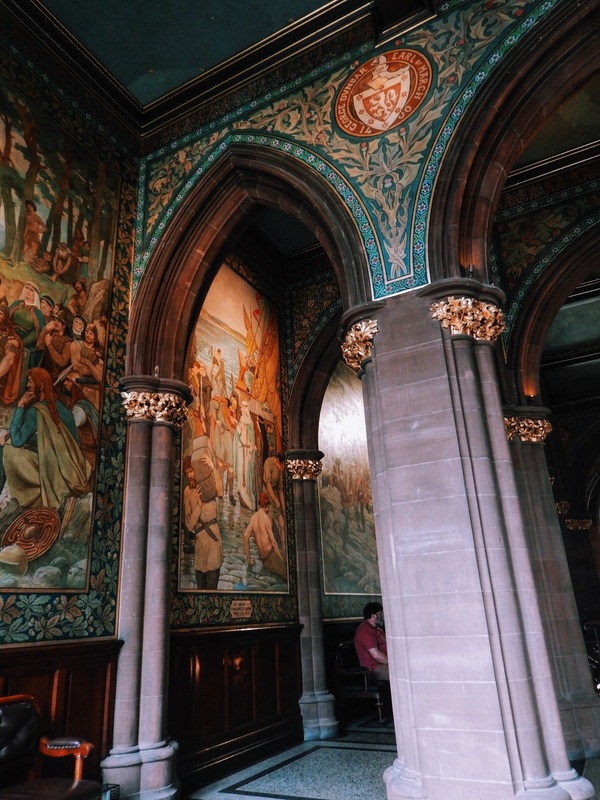 The Scottish National Portrait Gallery is in a red sandstone Gothic Revival building that was donated by the owner of The Scotsman newspaper to house portraits of Scots collected by the Society of Antiquaries of Scotland. The William Hole entrance hall (where I took most of the first few photos) features a processional frieze of famous Scots through history. Lucky for us, there was an exhibit of John Byrne works that had opened earlier in the month and it was mind-blowing! As we walked through the gallery, there were mostly self-portraits of the artist dressed up as different characters. They were all genius. You just got the sense that this guy was totally fun but crazy. Everything about each painting was perfectly calculated from the pose to the costume to the colors and textures. When we got to the back of the exhibit hall we started to notice that there were tons of portraits of Tilda Swinton. Neither of us were familiar with John Byrne but after doing a bit of researching on our phones we realized that they were actually a couple for years and have twins Honor and Xavier together (they're the same age as my sister)! I think it would be hard NOT to have Tilda as your muse. We'd passed by a place called Ben's Cookies a few times and we finally stopped to pick up a snack. They're the best cookies I've ever had in my life and I still talk about them all the time. Oh, Ben, won't you come to America? 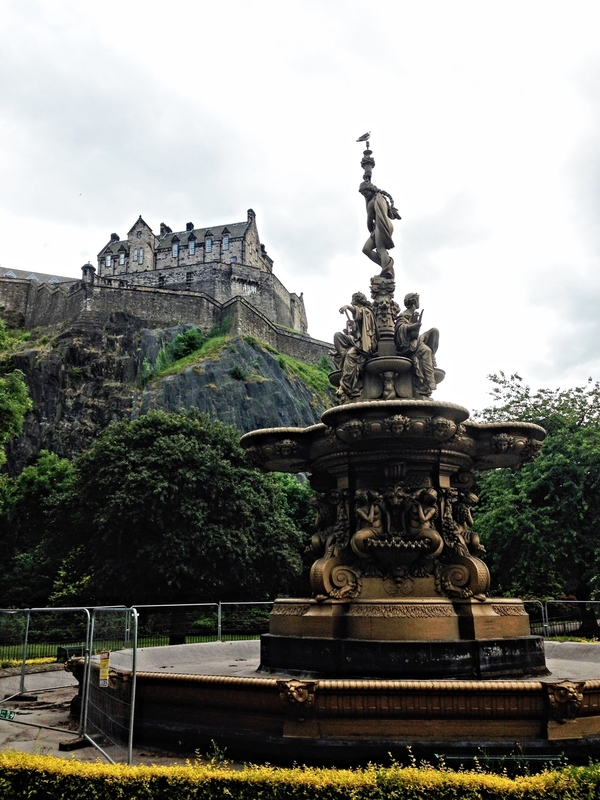 We sat around in Princes Street Gardens (again) and watched all the other people. We had passed by the North Face a few times while we were walking around town so we decided to pop in. Alex got a really neat shirt that has Edinburgh's coordinates on it. Afterwards we went to grab some lunch at the Stockbridge Market. The market isn't only on Saturdays so we were able to go a few times during our trip. We shared some noodles and dumplings from a local vendor. That night we went to Pizza Express in Stockbridge with Pat and Kenneth. Pizza Express makes it seem like it was going to be a Domino's or Papa John's but it was actually really fancy and delicious pizza! If you're ever in Europe, definitely check on out. I think we ended up with La Reine and some kind of rocket salad. We were there for hours just chatting away since it would be out last night in Edinburgh for a few days. Pat and Kenneth were really good company and excellent hosts. We were so lucky to be able to share the time we did with them.